The mountains of Caucasia lie between the Black and Caspian Seas and on the boundary between Europe and Asia. They include the highest, most dramatic, least spoiled and least known mountain ranges of the northern hemisphere after the Himalayas and Rockies. The area supports about 6,400 species of vascular plant of which a quarter occur nowhere else (i.e. they are endemic to the region), and about 850 species of vertebrate animal of which some 120 are endemic. This is the highest percentage of endemism in the temperate world, and makes Caucasia one of the most important hotspots of biodiversity on Earth. 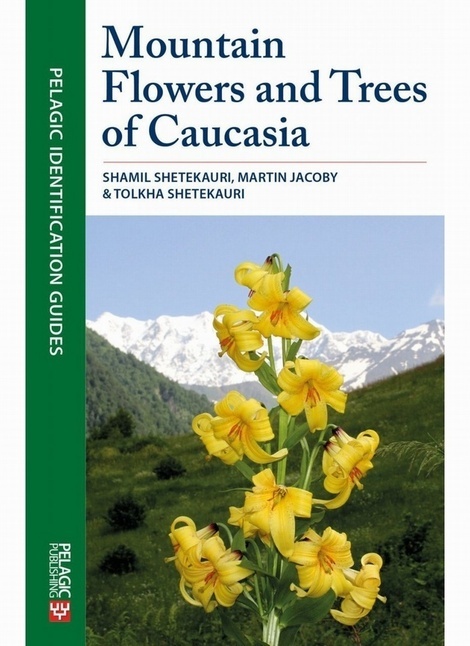 Mountain Flowers & Trees of Caucasia describes and illustrates in full colour nearly all the wild flowers, trees and shrubs that can be found over 1,000 metres above sea level. This second edition has increased the number of species described to over a thousand, and adopted the modern systematic order of Plant Families described by the Angiosperm Phylogeny Group to show evolutionary relationships. The order of genera within each Family generally follows that of Flora Europaea. To ease the problem of synonyms, Mountain Flowers not only makes use of The Plant List (tPL), which is easily accessible on line, but gives a substantial list of other synonyms not included in tPL. Each species has a unique number which allows its description, photograph, synonyms and index entry to be easily linked. The authors hope that this field guide will encourage you to visit the mountains of Caucasia to delight in their unique and spectacular assemblage of flowering plants, and so contribute to its conservation. The authors include an overview of vegetation in Caucasia, along with a key to families, and keys to genera of selected families.